The days when the French considered le running, let alone le jogging déclassé and downright American are long past. The land of the Tour de France now has more runners than cyclists, and reportedly holds more than 5,000 organized races a year, more than any other European country. We'd take in the sights of Paris in the springtime by running the best known of them, the city's marathon. It starts just southeast of the Arc de Triomphe on the Champs-Elysees and passes eastwards through the heart of the city via the Bastille to the Bois de Vincennes. There it turns round to return along the Seine past Notre Dame, the Musee d'Orsay, and the Eiffel Tower before taking a spin through the Bois de Boulogne and finishing on Avenue Foch just southwest of the Arc. This annual April event attracts some 35,000 runners, nearly one-third non-French, and counts itself as one of Europe's most popular big city marathons along with London and Berlin. Traveler's tip: like all races in France to enter you have to have a recent doctor's note that attests that you are fit enough to run. There is also a hugely popular 20 kilometer (12 1/2 miles) run through the heart of Paris held every October. More locals, fewer foreigners. The previous month, for female runners, there is La Parisienne, a women's only 6 kilometers race that starts at the Eiffel Tower and has a field of 30,000. France abounds with scenic city marathons. Our picks would include Reims, Nantes, La Rochelle, Toulouse and Marseille. We’d also include a relative newcomer, the Marathon des Alpes-Maritimes which bills itself in English as the French Riviera Marathon and runs between two cities, Nice and Cannes, along the Mediterranean coast, not too shabby a way to spend a Sunday in November. 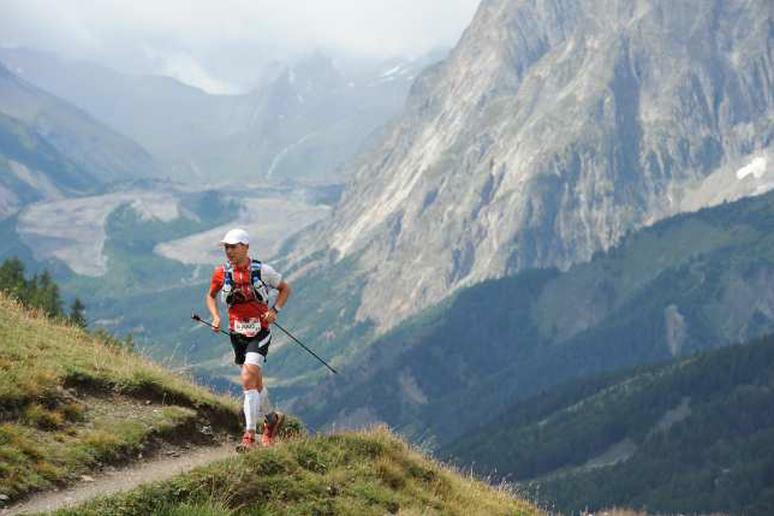 France also offers runners some stunning mountain races. If the Ultra-Trail du Mont Blanc ultramarathon, one of the world's toughest footraces, is too daunting — runners are required to carry a survival blanket and emergency rations; this is serious Alpine trail running for 103 miles around Europe’s highest mountain — there is a series of shorter events including a conventional marathon held simultaneously in Chamonix. The Montcalm marathon in the Pyrennees near the border with Spain is another race with stunning views. The Montée du Grand Ballon races over the highest mountain in Alsace on the German border. Trail running is big in France. Our pick of the bunch after the Ultra-Trail du Mont Blanc would be Le Défi de l'Oisans, a 200 kilometer (125 miles) race through nine valleys and 14 passes in the Alps starting near Grenoble, and the 40-mile Ice Trail Tarentaise at Val d'Isère, which bills itself as Europe's highest trail race and will take you through snow and ice even in July. Or for something shorter but still challenging, try the Trail Napoléon, a 14-miler that ascends more than 3,000 feet on the French Mediterranean island of Corsica. Mountainous Corsica abounds with scenic trail runs. On Noirmoutier Island in the Bay of Biscay off France’s Atlantic coast, there is a quirky series of races where you race across the 2 1/2 mile natural causeway connecting the island to the mainland against a rising tide. Be prepared to get your feet wet. In this race it is not the devil that takes the hindmost, it is the deep blue sea. History buffs might like the Liberty Marathon, one of a series of races that pass through the towns and villages lining the beaches used during the Normandy landings by the Allied forces in World War II. Our favorite theme race, however, has to be the Medoc Marathon, which winds its way past 50 chateaux in one of the main wine growing areas of Bordeaux. Running in costume is near obligatory. With wine, cheese, oysters and foie gras available during the race, it is not for nothing it bills itself as the world’s slowest marathon. For a tune up, we'd probably do La Champenoise, a half though the vineyards of the Champagne producing districts.